Clockwise from top left: Photo by Becky Cheang; courtesy of The Little Dröm Store; Becky Cheang; courtesy of The Farm Store. For the longest time, it was impossible to find cute souvenirs from Singapore that weren't kitschy and Merlion-shaped (the half-mermaid, half-lion national landmark) or inspired by the Singapore Girl's sarong (seen on many a flight attendant). Recently, young designers and thrifty business people began producing souvenirs that showcase the quirky side of the country I grew up in. These days, I'm spoiled for choice every time I go back for a visit. 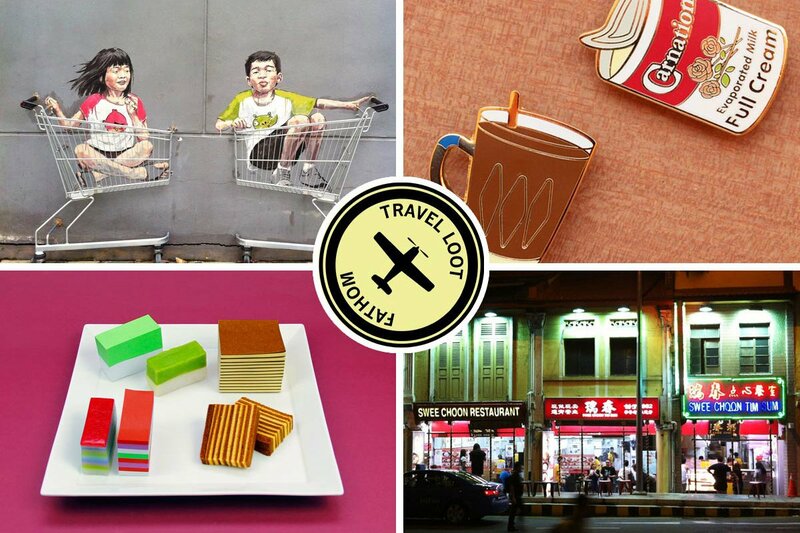 My favorite souvenirs play on Singapore's multicultural history and kaleidoscope of local cuisine. One glorious day will come when I'll be able to get chicken rice and chili crab through U.S. customs. Until then, here's a smattering of food-inspired items I'll bring back instead. Kopitiam translates to coffee shop. You'll find them at the corner of almost every public housing complex. It's where aunties gather to gossip in the afternoon and uncles gather at to watch soccer at 2 a.m. It's where I love to get my morning kopi (coffee). Carnation evaporated milk is what we add to our coffee instead of creamer. 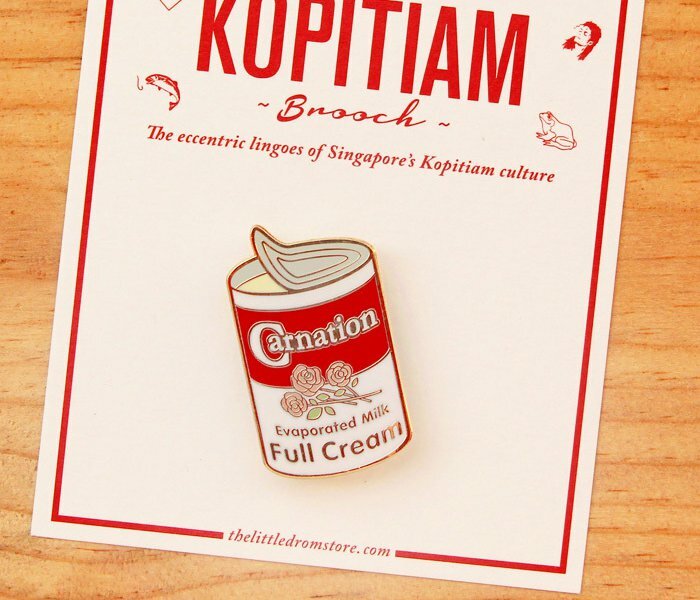 This pin is Singapore's iconic version of Andy Warhol's Campbell soup can. 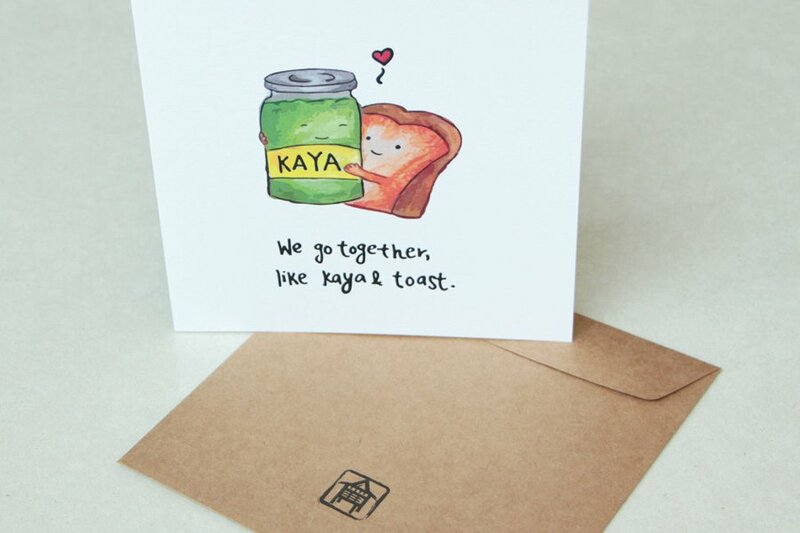 Kaya toast is my favorite sandwich in the world. I can eat this coconut spread on toast every single day without tiring of it. Most Singaporeans are on the same page, as evidenced by this note from Kampong Kards. Gem biscuits with colored icing are part of childhood. I fondly recall biting off just the sweet icing on top and putting the biscuit bottom back into the tin. 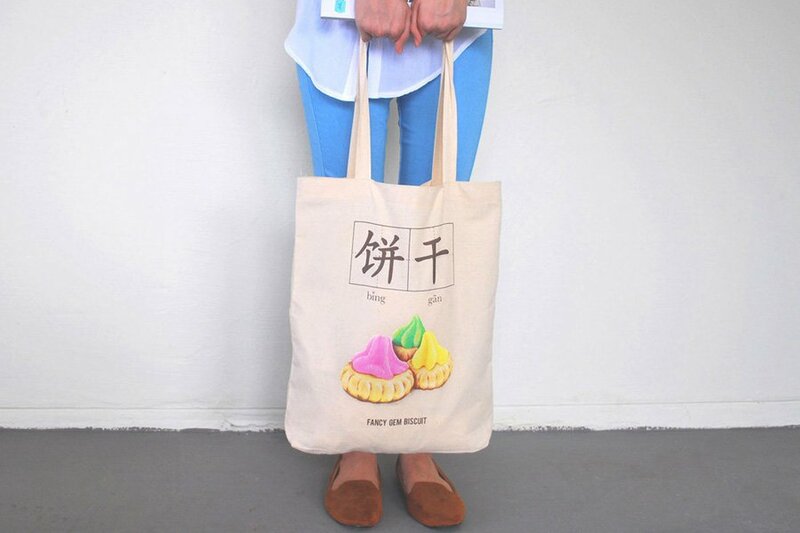 My aunt bought this tote for me to make sure I never forget 饼干 bing gang, which means biscuit in Chinese. 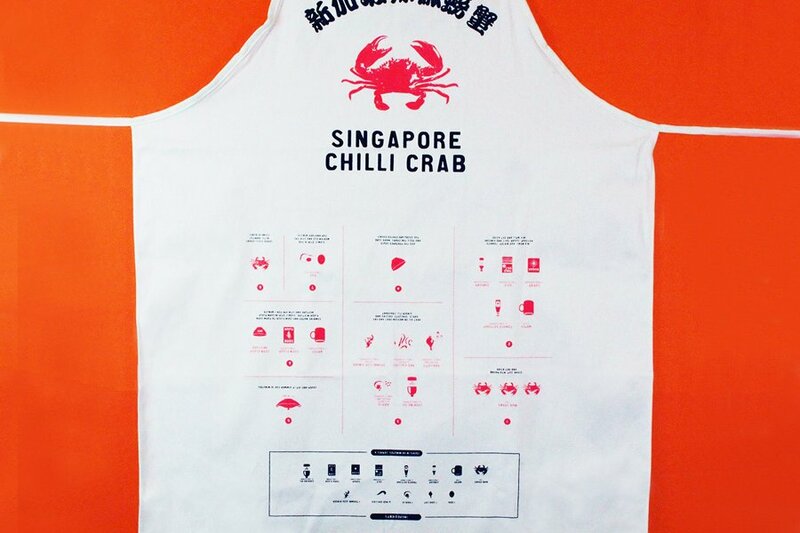 You can‘t talk about Singaporean food without talking about chili crab. Illustrations and instructions are printed upside down on this apron so the wearer (home cook!) can read it while preparing the dish. 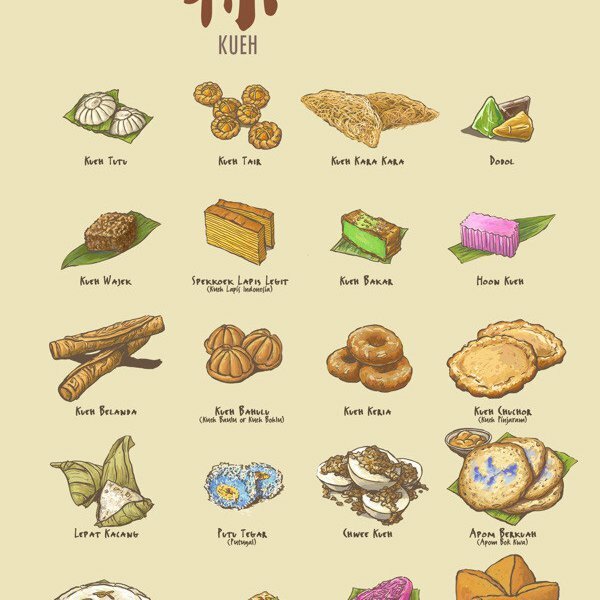 Kueh, derived from the Hokkien word for cake, refers to bite-size snacks popular in Peranakan and Indonesian cuisine. There are so many variations — this useful poster is only one in a set of three — but most of my favorites are included in this edition. I love kueh tutu, a rice flour pastry with a coconut or peanut filling; kueh lapis legit, popular during Chinese New Year, is an extremely labor-intensive layered butter cake made with individually grilled layers of pastry. Nonya kuehs are another type of kueh lapis (lapis means layer in Bahasa Indonesian) with colorful layers made from glutinous rice flour, coconut, sugar, and sometimes green pandan juice. 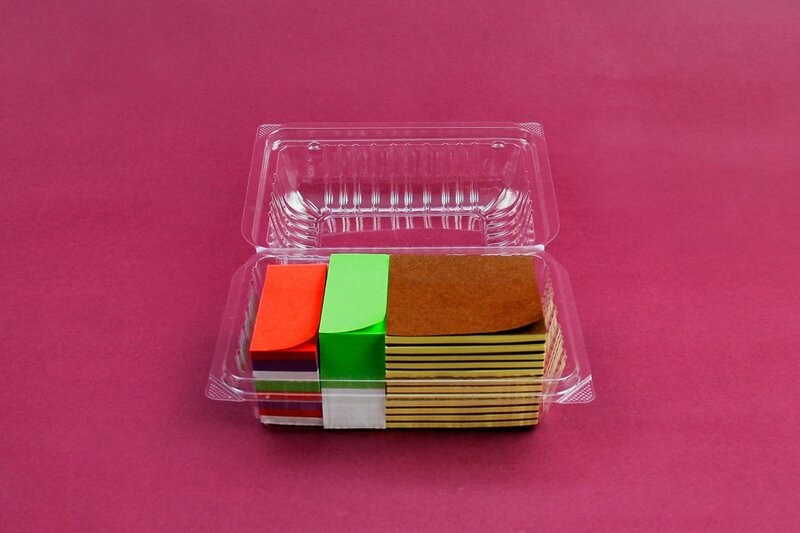 Kuehs are normally served in a plastic takeaway container and look like this stack of sticky notes. Only the paper version are more likely to survive the plane ride home.